These are the Replacement Fine Filter Pads suitable for the Fluval AquaVac+ Water Changer & Gravel Cleaner. 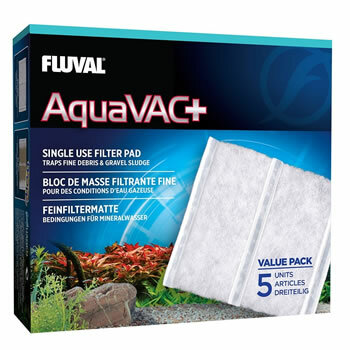 Use the Fluval AquaVac+ Replacement Fine Filter Pads for an extreme clean that traps even the finest dirt and debris, leaving your water sparkling. Fluval AquaVac+ Replacement Fine Filter Pads are available as a pack of 5.